Hercules is the son of Zeus. Hydra is a monster that lurks in the swamps near a small settlement called Lerna, and has nine heads. This monster frequently terrorizes the nearby countryside. 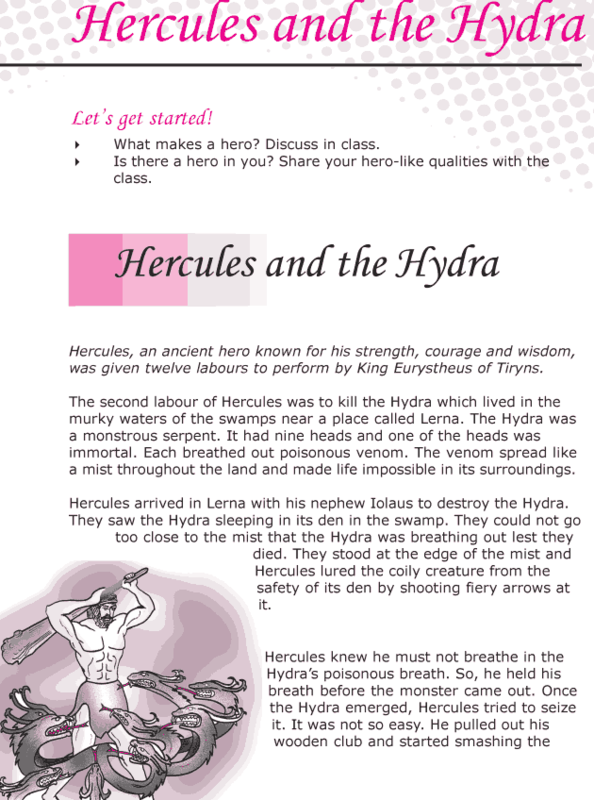 Hercules is accompanied by his nephew, Iolaus and they enter the swamp to find the monster. When they find the Hydra, Hercules soon discovers that if he cuts off one head, one more would grow back. How will they fight the monster now? Will they be able to save the village? Read this story of their bravery.